Just a brief bit of back story and insight into Mira's character - why she does things and who she is - but a thrilling one nonetheless. This series rocks. A short story that tells an episode of Mira's life before she is captured by Holt. It's labeled a .5 instead of a 1.5, but I think Midnight City needs to be read first in order to truly understand Mira's world. I'm now in the middle of Severed Tower. 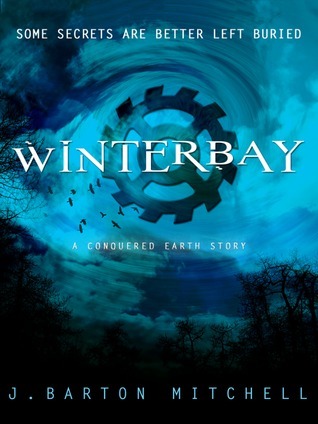 Reading Winterbay beforehand has definitely increased my enjoyment of the second book in this series, but it is certainly not necessary to read it. Fun, quick read, though. I love this world; it's fairly original. And that's saying something in this dystopian overloaded book world! Barton even in this small story demonstrates his skill. The lessons are all there while all tying back to the original storyline. While we follow Mira we also meet a couple of characters who we will see more off later. But in the end it's all about the moral of the story and who well it's brought out that makes you love this series. I finished this book, and it was a nice read-in to the first book. Now looking forward to the 2nd and third book! AWSOME. Made my love Mira more and more! Free eBooks Ghds-outlet.co.uk Library is in no way intended to support illegal activity. We uses Search API to find the overview of books over the internet, but we don't host any files. All document files are the property of their respective owners, please respect the publisher and the author for their copyrighted creations. If you find documents that should not be here please report them. Read our DMCA Policies and Disclaimer for more details. Copyright ©2019 Free eBooks Ghds-outlet.co.uk Library - All rights reserved.